Just a few days ago, we were asking if de-extinction was possible, and today, we're a huge step closer to bringing recently extinct species back to life. Researchers have announced that they've grown early-stage embryos of the gastric-brooding frog, a species that has been extinct since 1983. At yesterday's TEDxDeExtinction event, University of New South Wales paleontologist Michael Archer announced the advance by the so-called Lazarus project. The bizarre gastric-brooding frog, the female of which incubated the prejuvenile stages of its offspring in its stomach, disappeared from the wild in 1979 and went extinct a few years later. However, Adelaide frog researcher Mike Tyler froze specimens of the frog prior to its extinction, leaving the door open for the species' possible resurrection. Scientists extracted DNA from a frozen frog specimen, and employed somatic-cell nuclear transfer, the same process used to clone still-living animals. 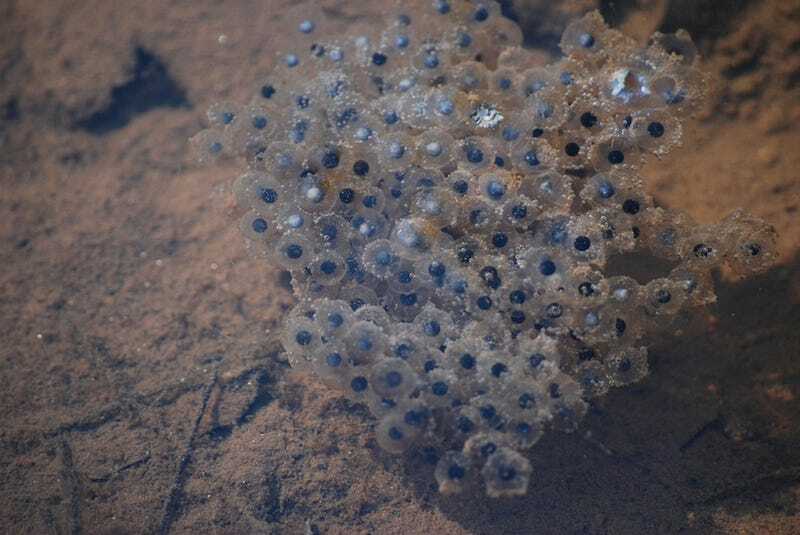 The team took eggs from the distantly related great barred frog, deactivated that frog's DNA with UV light, and inserted the gastric-brooding frog's DNA into the eggs. The cells inside the eggs began dividing, becoming blastulas. The embryos died after a few days, long before developing into tadpoles, but DNA tests confirmed that they were gastric-brooding frog embryos, and Archer says they have high hopes for seeing this frog up and hopping soon. Breeding programs are in place to attempt to bring certain extinct species back through selective breeding, and some selective breeding has been successful, but this is the first time that the embryo of an extinct species has been grown using this technique. Edit: I'm having some issues with replying to comments, but I wanted to address the case of the Pyrenean ibex, which some folks have, appropriately, brought up in the comments. Yes, a Pyrenean ibex was technically the first cloned extinct animal because the clone was born (and unfortunately died) shortly after the species went extinct. The reason that the Lazarus project team is calling their frog the "first," I believe, is that the DNA from the Pyrenean ibex was extracted from a live specimen, so the process began before the species went extinct.